Even though we are finally having our "summer heat" here in So Cali, I am looking forward to Fall and of course Halloween. It may be too hot to add pumpkins to the front porch, but it's never to hot to scrap some old black & white trick or treat pics! 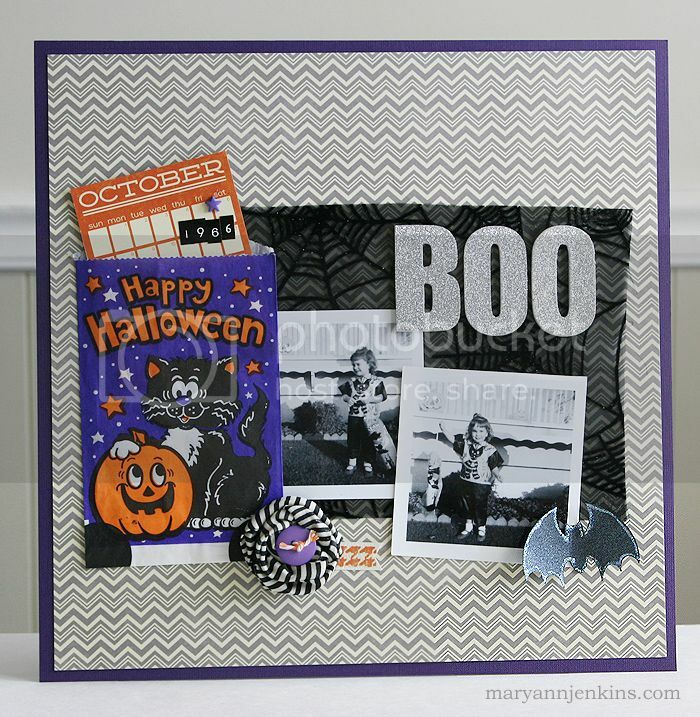 I used bits and pieces of the September project kit, and the scrapbook kit from the Paper Bakery. Don't you just love the orange and purple with the grey chevron! I wrote the story about me being afraid to wear the mask that went with the costume, and tucked it into the sweet little treat bag. This is a great layout and use of a cute kit! Great story too!!! I love the little pop of color you added. Cute photos. how cute. I love the idea of using a treat bage! How cute is that treat bag?! Such a fun addition to your page, Mary Ann! Great layout, and I love how you framed it in purple! Love the bingo card in the treat bag, so cute! Very cute page! I love the black and white rosette with the button in the centre! Cute, cute Mary Ann!! 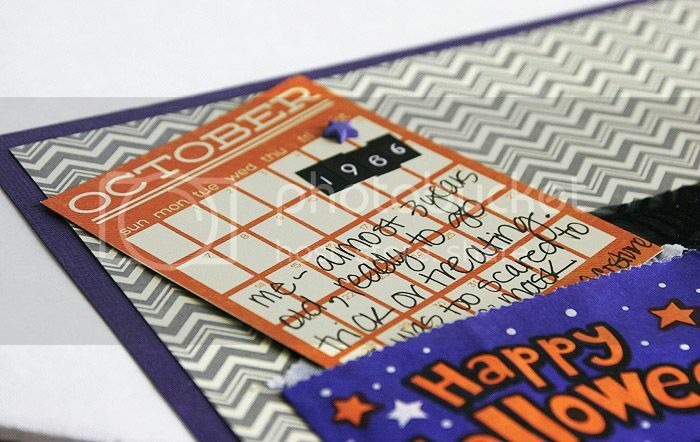 I always love doing Halloween layouts...they are so fun! I love that you used the b&w photos on your page! Great layout for a sweet story! I love how you included the little bag! SO CUTE!